After a dry and sometimes sunny day at Cheltenham, more rain is forecast overnight meaning there is no let up for the horses or punters alike. Un De Sceaux and Cue Card go head to head once again in the Ryanair Chase at 14:50pm. Both of these horses have won this race in the past and I see one of them taking the trophy once again. 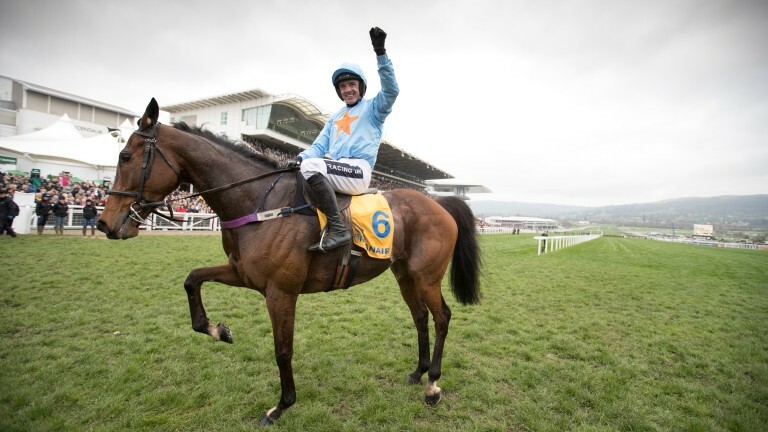 Un De Sceaux enjoys the mud and rain so should be in his element tomorrow. It’s tough for me to go against Cue Card who is a favourite of mine but he has ran in the Gold Cup the last two years and hit the 3rd to last fence both times. Unfortunately, he will come up against the same fence again in what is his seventh appearance at Cheltenham Festival. Laurina comes from a yard that has won the Mares Novices Hurdle two years in a row. With an impressive win in a grade 3 contest she arrives in good form. However, Ruby Walsh has been taken out of the festival following his fall today so we will have to wait and see who takes the ride. The only competition would be Maria’s Benefit coming from a relatively small yard who have been talking up her speed. The softer ground could be an issue though. Penhill in the Stayers Hurdle at 15:30pm looks like he could be worth an each way bet. He has won at Cheltenham before over the same distance but hasn’t been seen since April. He is trained by Willie Mullins who is renowned for priming horses for a certain target and there’s been positive mutterings from the camp. It’s a tough renewal of the Stayers Hurdle with Sam Spinner heading the betting with some impressive form. At the start of the day is The Novices Chase at 13:30pm and I’m going to go for Terrefort. With only two UK starts there is much to prove but he has a grade one win under his belt. The odds have dropped as the race approaches because he loves the soft and heavy ground but it could still be worth a punt. If your looking for some bigger odds kemboy enjoys the ground and distance on offer. Not won too many races this season but always improving and from a good yard. The day ends with a stamina test in the Kim Muir Challenge Cup at 17:30pm. By this time the soggy ground will be cut up and even more testing. This shouldn’t effect Missed Approach and could be a good each way bet on a horse who is known to have outstanding stamina.